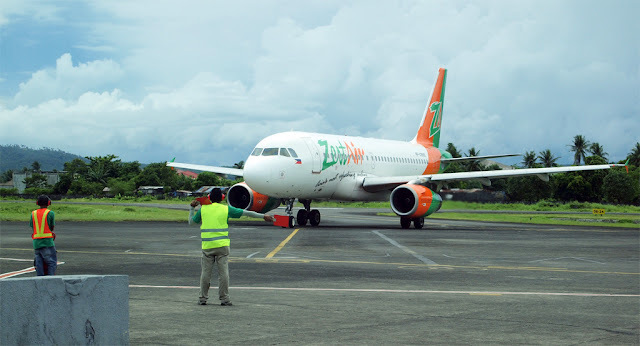 update 2: Zest Air is now cleared to resume operations (as of August 20, 2013). 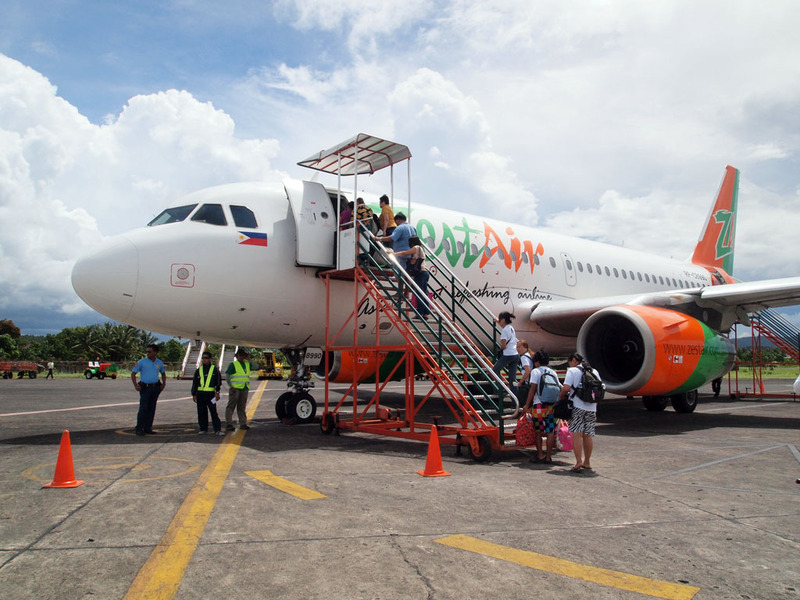 I was a bit apprehensive at first when I booked a flight in Zest Air, one of budget airlines currently operating in the Philippines. The reason for the concern is that I know that the airline operates Chinese-made turboprops, the Xian MA-60 models, which have spotty safety records and are not certified by the US FAA . I am not inclined to take one on any flight. With some help from some Twitter friends I was able to confirm that the flight that I booked, from Legazpi City to Manila (during our Caramoan and Mount Mayon trip), will be in fact serviced by an Airbus A319, and that put my concerns to rest. 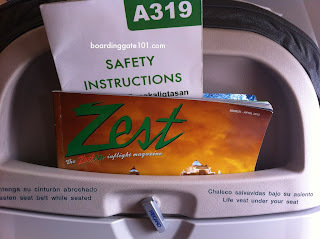 This was my first time to fly via Zest Air, though I've taken the Asian Spirit before, the predecessor of the company, way back in the 1990s on a trip to Boracay. If you think the name is familiar, is that because it is; the airline belongs to the same group of companies that also sell Zest-O orange juice. Booking the ticket was pretty much straightforward, having done it online. 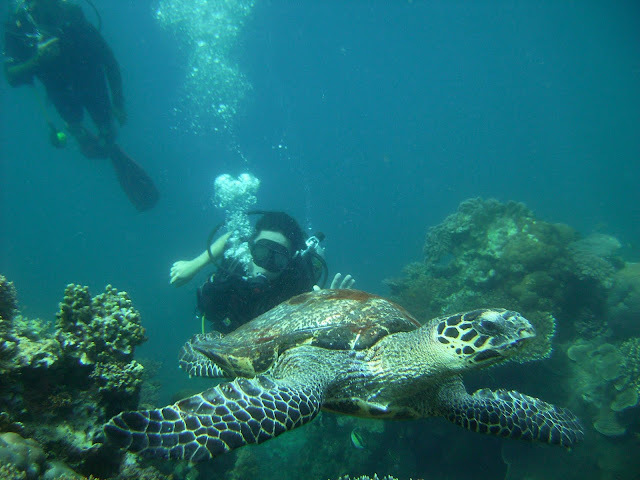 The fare was cheap, only PhP 1,500 one way, plus a web admin fee of PhP 89.60. The ticket was non-transferable and non-re-routable, and there are fees to be paid for rebooking (PhP 672), no-show (PhP1120), and refund (PhP 672). E-tickets are sent via email as a PDF file. Upon check-in, the personnel manning the counter would require you to produce identification and the credit card you used to book, so be sure to bring them with you. The airline used a new Airbus A319 aircraft for the flight, with 3-3 seating arrangement. Legroom is OK for an Asian like me, but will be cramped for somebody who's 6'0" or 30 lbs heavier. The seats are Recaro, so that's a plus. Zest has an inflight magazine, innovatively named Zest. It would come handy to help you pass the time in case you ran out of juice for your iPad. The airline, being a low-cost carrier, does not serve food and drinks for free, but the attendants are happy to sell you one. They have quite an extensive selection of pastries, sandwiches, cup noodles, and you've guessed it, Zest-O flavored drinks. 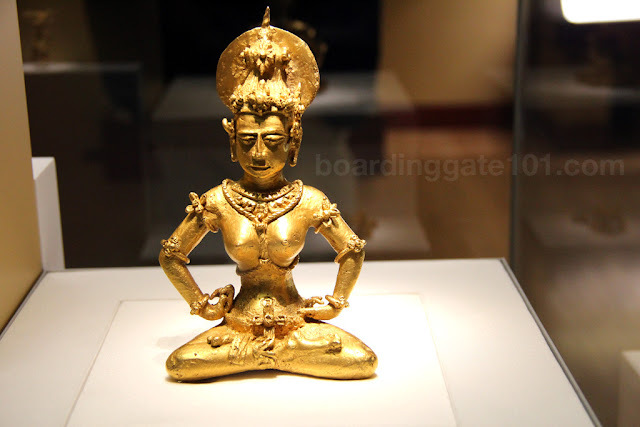 The prices are comparable to other budget airlines. 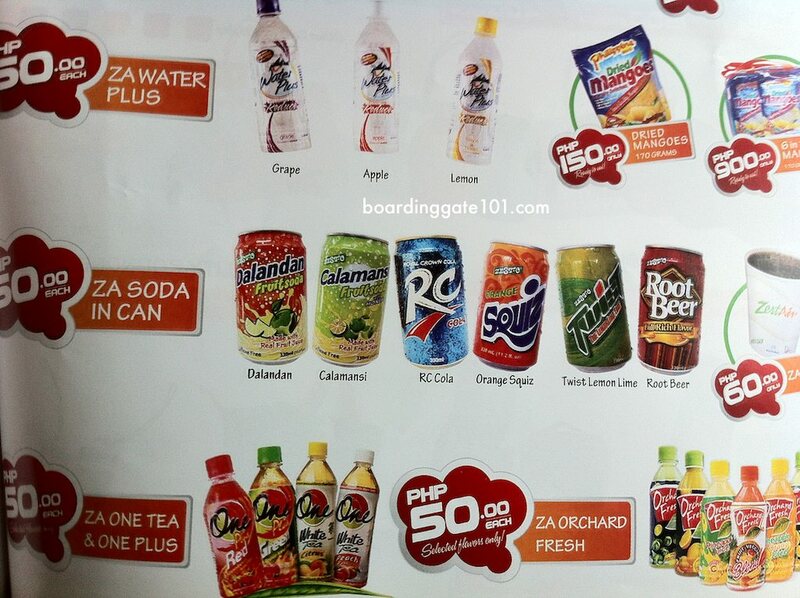 A sandwich costs PhP100, cup noodles, PhP 70, and drinks, from 60 to 70 pesos per bottle or can. They also sell merchandise on board. Being an avid diecast toy collector, the only thing that interests me was the 1:400 die-cast replica of a Zest Airbus aircraft, priced at PhP 1700 each. The flight that I took was late for almost an hour. 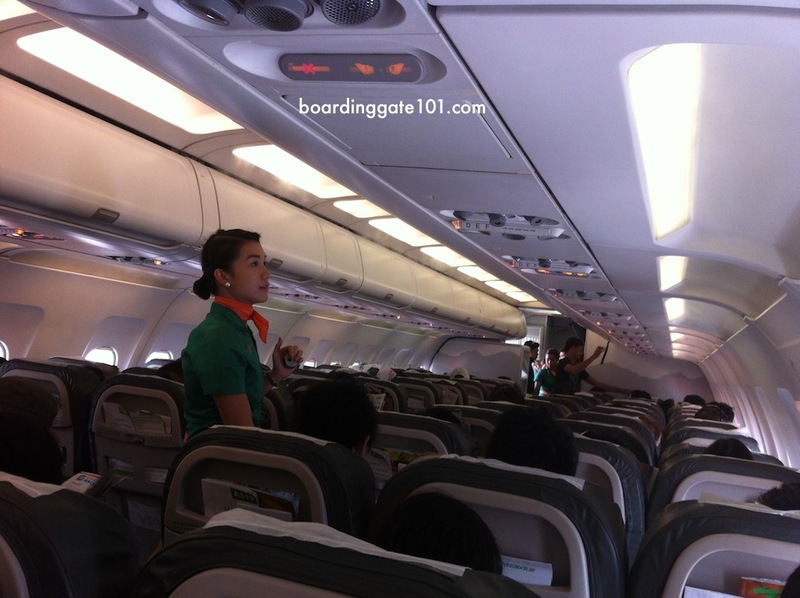 We disembarked at the Ninoy Aquino International Airport Terminal 4 when we landed in Manila. Terminal 4 used to be the Domestic Terminal. 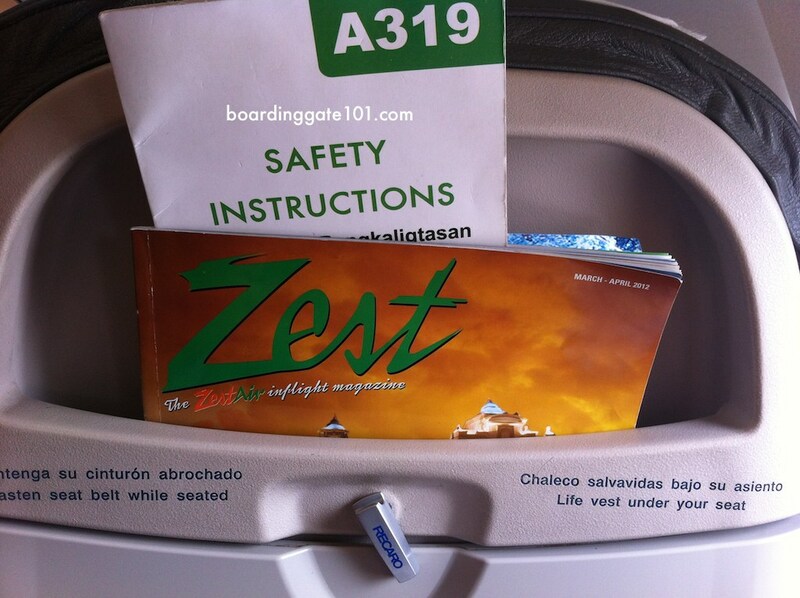 Zest Air serves 14 domestic destinations, and four international ones. I also fly ZestAir locally and don't really have a problem with them. It was only when I was in their inaugural flight to KL that I experienced a 4-hour delay going there and a 6-hour delay going back to the Philippines. Hope they could fix those delays as we do need more LCCs! 6-hour delay? mas mahaba pa sa flight? 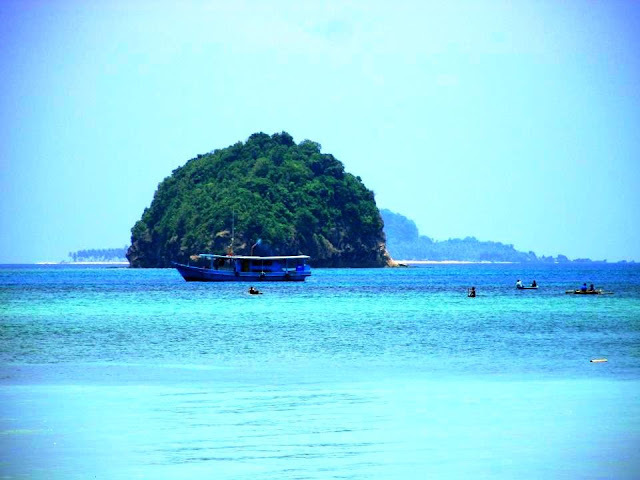 i have alredy book a fligt schedule on jan 16, can i use my postal id upon boarding ?and how many id should i present? I think postal ID is OK, and in my experience only one valid ID is needed. Also, bring the credit card that you used for purchasing the ticket (photocopy of the card if it's somebody else's).